Taj Falaknuma Palace popularly known as Nizam's Palace, Hyderabad, India. 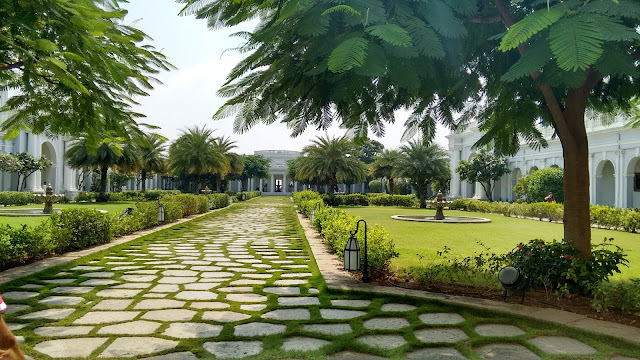 Weekend Stay was a step back in time when kings used to rule India. And how they used to live steeped in luxury. It was indeed a fairy tale, royal experience. Check In Experience: Every guest is treated as 'the guest of the Nizam' with utmost respect, being driven in a royal horse carriage from the entrance of the Palace gates to the main porch was enchanting. We were offered refreshing khus sherbet/rose sherbet, cold towels. Of course, while entering the lobby via staircase awaited a surprise shower of rose petals. We had a Butler assigned to us who looked after our every whims and fancies during our stay. Rooms and suites: there are variety of rooms and suites to choose from . As we planned it at the holiday weekend the Palace was almost sold out. Each room and suites are decorated keeping the royal and modern necessities in mind by Her Royal Highness Princess Esra, wife of Nizam. Celeste: Scrumptious breakfast awaits in the morning at the Celeste. Ranging from Indian, Continental, Hyderabadi cuisine buffet spread. As they say start your day with hearty royal breakfast. It's an all day dining restaurant which offers Italian and Mediterranean cuisine. Adda: the most authentic Hyderabadi cuisine can be experinced from the royal kitchens of Nizam. The royal Hyderabadi aromatic biryani, royal rose kulfi ice cream dessert can be savoured here. It should not be missed. In room dining: If one is too tired after morning historical excursion of the Taj Falaknuma Palace or vising the Hyderabad city tour. One can opt for in room dining experience with all different types of cuisine on offer. The private Butlers are very courteous, helpful will make sure guests are catered well. Jiva SPA : Taj offers one of the best spa experience in the world. 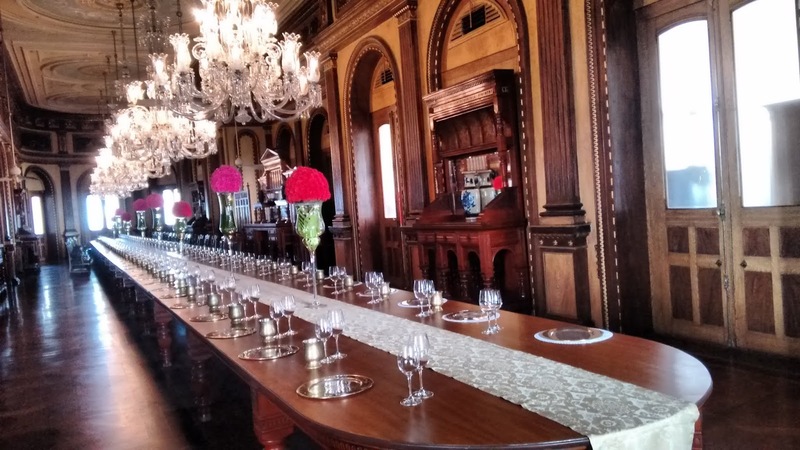 And Nizam's Palace was super luxurious experience. The lady masseurs are very well trained and cater to pampering you to a blissful massage. There are range of spa treatments on offer, which caters to your needs and specifications. Swimming pool: If one wants to eat a buffet breakfast a workout before that is important. Pool is beautiful surrounded by gardens where peacocks come to wander around in the morning and evenings. It is at private area so one enjoy swimming without feeling conscious. Historical Landmark: Nizam's Palace is indeed an historical landmark. As we were staying there was huge advantage of visiting the Palace with a Royal tour experience as many times as we liked. There were no 'timing restrictions' on us. However, if you visit to see the Palace and not staying here, there is a separate royal tour timing available. Kindly note not all rooms of the palace are accessible to outside visitors. They can be only experienced by the in-house guests of the Nizam's. Truely a Royal historical treat to the eye. If you want to experience Luxurious Weekend Stay . 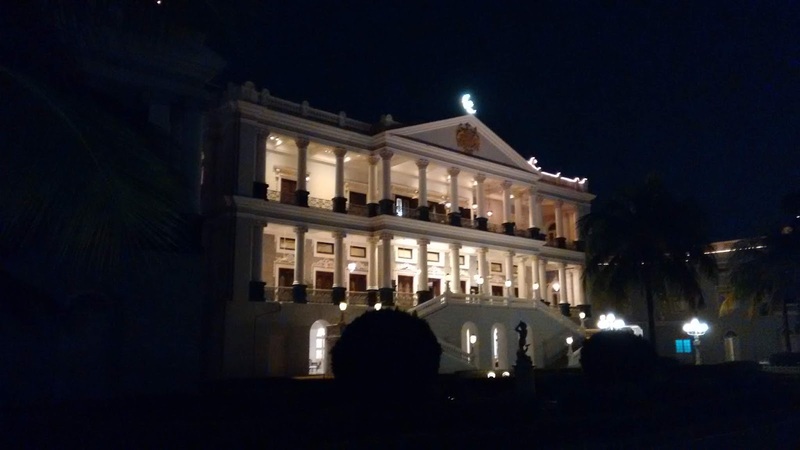 The worlds richest man - the Nizam's residence in the world 'Taj Falaknuma Palace' is the answer. Rightly portrayed steeped in history as he used to use Kohinoor Diamond as a paper weight. Royalties, VIP's, Celebrities often visit the Palace. One can only experience a Royal fairy tale like no other, steeped in time and luxury. One weekend stay is not enough. Will surely plan a visit again.